Posted on August 18, 2015 by Ching under Community, Things to Do. Did I mention that I work with the most amazing and generous people on the planet? Last week the Customer Relations Center (CRC) collected a ton of school supplies and filled over 125 backpacks for Washington Elementary. It’s the same school we’ve supported for the last few years. 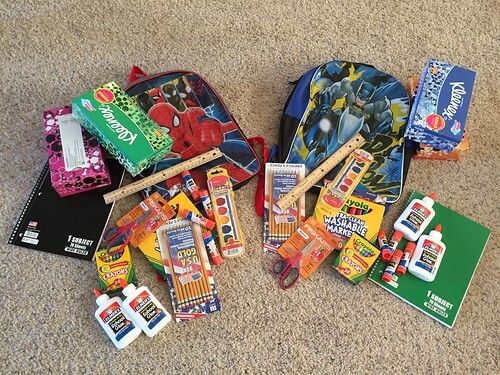 Each year we collect more and more school supplies. We had record-breaking participation in our school supply drive this year. Amy really did a great job of getting everyone involved and excited. Everyone was pumped about participating and we some great friendly competition between the various teams which resulted in even more school supplies collected. Today Amy and a bunch of people from work delivered all the school supplies we’d collected to Washington Elementary. Delivery day coincided with the “dance party” that the QA team was hosting for the CRC so I couldn’t go but I really wanted to be there to see the kids’ smiling faces. Despite not having been there it still feels good to be part of such a thoughtful and caring effort. 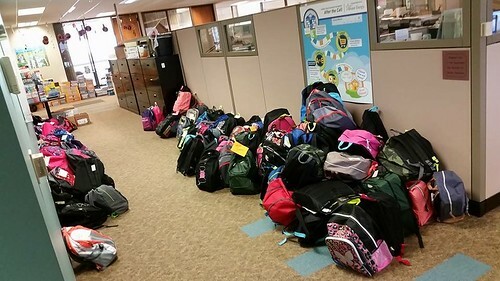 I was able to contribute two backpacks full but some of my coworkers contributed three to five to ten times that amount. I probably could have done more but I had already spent over an hour at Walmart. Brian happened to be at his bowling league that evening so he didn’t really miss me. 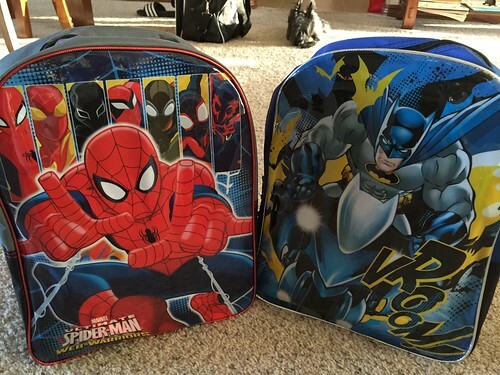 Although, I did factor in his preferences in picking out the two backpacks. Finding all of the specific school supplies on the list to put inside the backpacks seemed like a scavenger hunt and it took forever. I spent such a long time looking for stuff that I completely forgot where I parked my car afterwards. Anyway, I’m so impressed with my coworkers. I can’t imagine how much time (and money) they spent at the store to contribute all the school supplies that we collected last week. There’s no two ways about it. My coworkers are the best!